I'm heading into my 23rd week of pregnancy. This morning while getting ready, I looked in the mirror and noticed stretch marks. The funny thing is, after staring for a few seconds to make sure that's what it really was, I went on about my business & got dressed. It didn't bother me. At all. I remember when I was pregnant with Adelei, my stretch marks didn't come until the very end. Maybe the last 2 weeks or so. And I was devastated! I cried, and pouted, and researched ways to make them go away. Long after Adelei was born, they were still there. They simply went from purple to white. It wasn't until I started losing weight last year and using coconut oil that they started to disappear. Is it just because I'm growing up? Or because I'm less concerned with my appearance? Or because I know what to expect? I don't know. But what I do know is that I'm proud of myself. I've earned these stripes. 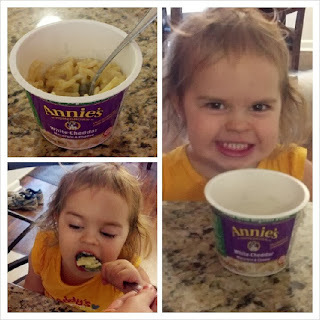 I received a coupon for one free Annie's Frozen entree from Influenster in exchange for my honest review. I was a little skeptical at first because I am not a fan of frozen meals. 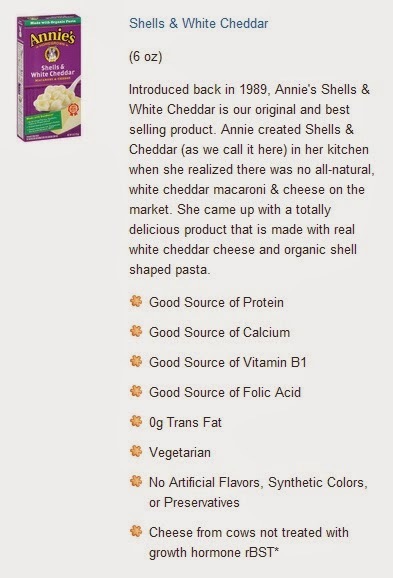 However, I like other Annie's Homegrown products, so I tried to keep an open mind. I'm glad I did. The lasagna was delicious! After a long day, it was nice to not have to prep a meal, I just simply placed it in the oven to bake and within half an hour, my family had a great meal to eat. I will definitely be keeping Annie's entrees in my freezer for the nights I just simply don't want to cook. While they're a little more expensive, the taste just can't be beat. Of all of these things, though, the one I want to highlight is the Aged White Cheddar Mac & Cheese. I was a little leery to try it because I'm not a huge fan of 'boxed' mac & cheese. But I received it for free, so it was my duty to try it and review it. Y'all...it was so good. I don't generally care for the tiny macaroni noodles, but the sauce was delicious. I'm a sucker for white cheddar popcorn, and this? This is my new vice. I shouldn't even call it a vice because although it's delicious, it's much better for you than other 'boxed' varieties. Plus, one single serve package is only 220 calories! The best part? My daughter LOVES it! Mac & cheese is her favorite, & this did not disappoint. Run [don't walk] to your nearest Target & pick up some! It's a little pricier than other brands, but honestly, you get what you pay for. About 6 weeks ago, I decided that I wanted to try running. It's never been something that I enjoyed doing, but after seeing so many infographics about it, I thought I should give it a shot. 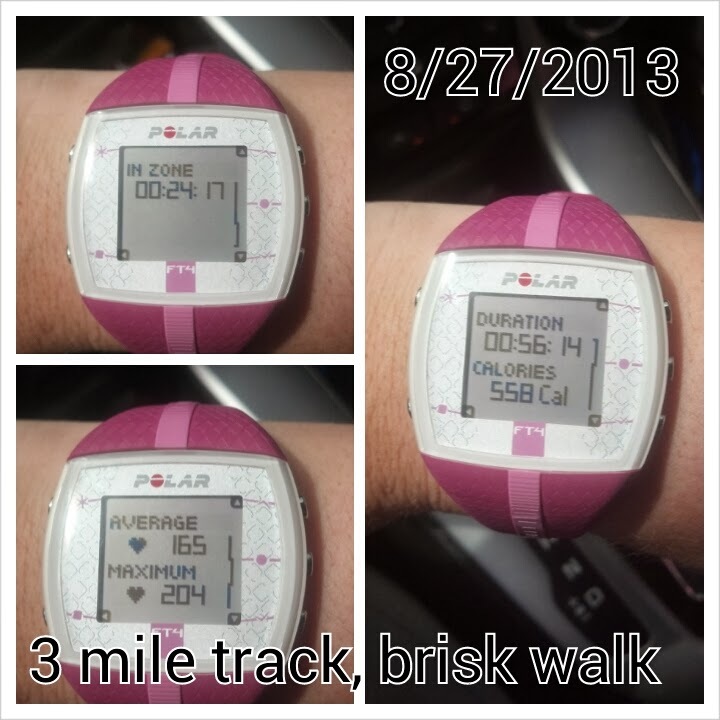 I started by going to the 3 mile track on post and I was just happy to get around the whole thing without passing out. I mostly walked. I jogged a few times, I didn't run. But most importantly, I didn't give up. I kept up with my time, and tried again. And again. I invested in a jogging stroller so that pushing my daughter would be a little easier. Every time I saw a difference in my time, it motivated me to go again. Each time, I've jogged a little more. 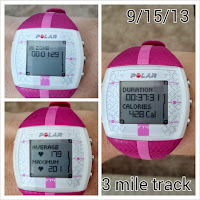 More recently, I've been switching between going to the 3 mile track and running on the treadmill at the gym. I feel like the treadmill gives me confidence that I don't yet have at the track. I actually run on the treadmill. I jog, too, but I barely walk. I push myself to the limits, and it's helping increase my endurance and stamina. I can now run several minutes [on the treadmill] without stopping. I've gone from doing a 18 minute mile to a 13 minute mile. That's what hard work and dedication can do, y'all. I'm not done, though. 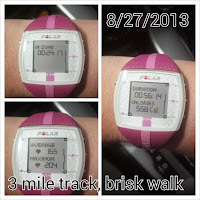 My goal is to be able to run 3 miles without slowing below a jog the entire time. As of now, after mile 2 I start to get sluggish. I know this is going to take a lot of work, but I'm all in. I'm ready for the day that I can do a 5k in 36 minutes. Isn't that amazing? What do you have to lose? A box of 40 green tea bags is less than $4. Get a box, some raw honey, and a few lemons, and drink a few cups a day. It's a delicious addiction. 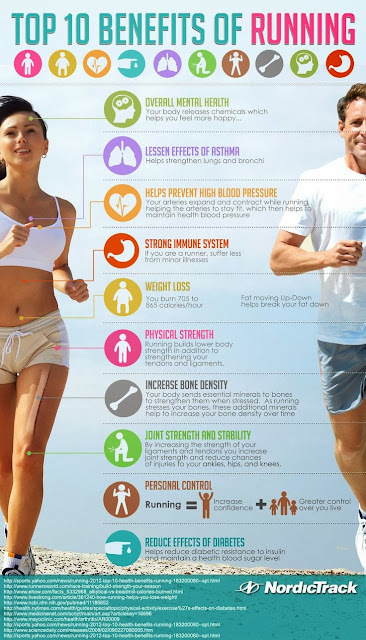 Your health is worth it! If I didn't know any better, I would think that my sweet tooth is the size of Texas. 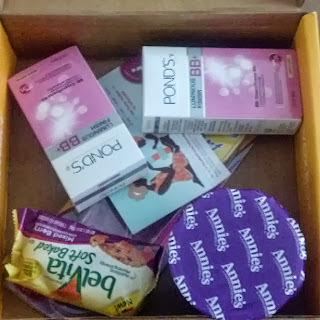 It is probably the biggest reason that I've had so many relapses, but I'm here to share with you some of my favorite sweet treats to fight your cravings. *Mind over matter! It's okay to indulge as long as the indulgences are within reason. Don't just eat aimlessly. Preportioned snacks are a good idea [especially for beginners] because once the package is done, you move on to a new activity. DON'T be tempted to open another pack! What are your favorite healthy [or low cal] sweet treats? Today I'm here to sing the praises of My Fitness Pal. 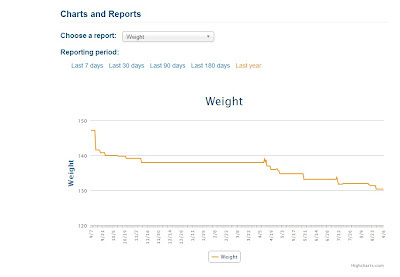 My Fitness Pal is such a valuable resource to those who are looking to lose weight. 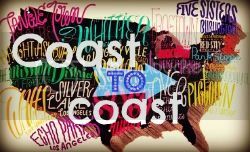 What initially drew me to it--It's free! 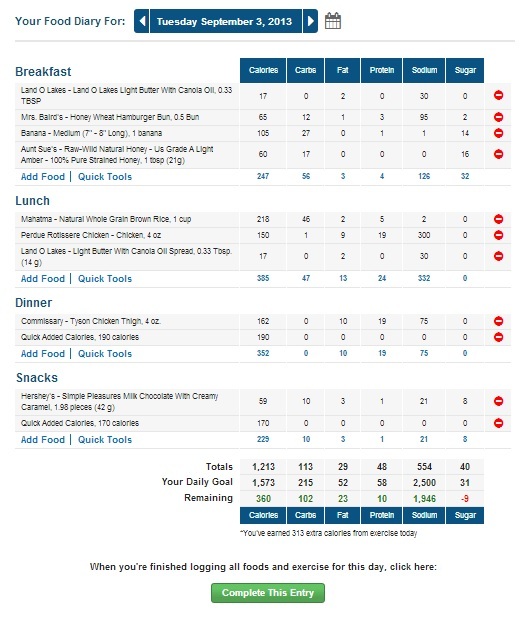 On myfitnesspal.com, you can keep up with your caloric intake [separated by each meal! 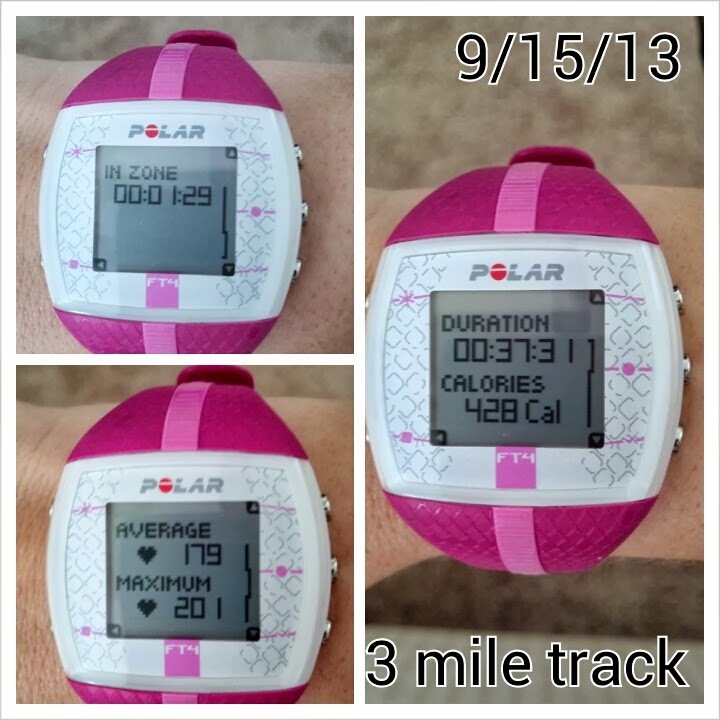 ], add your exercises and calories burned, & track your weight loss progress. It's more than just a weight loss journal, though. It's a community. You have the ability to add friends and see what they've been up to. 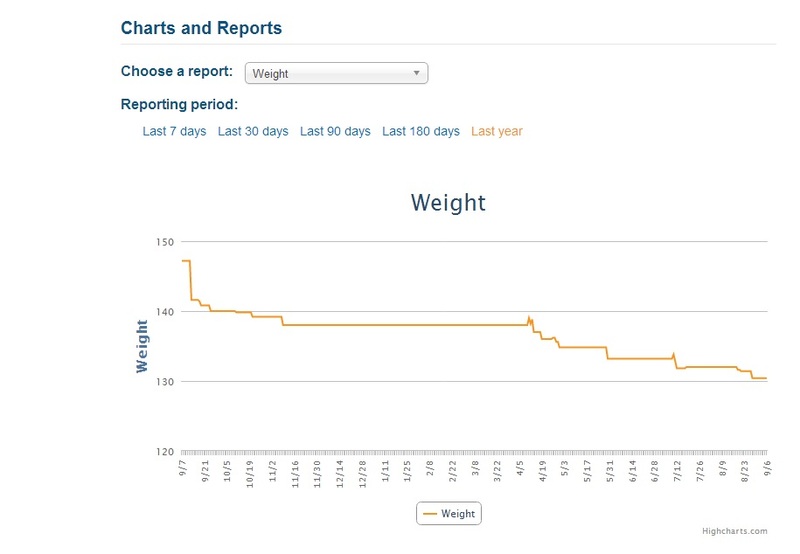 This has been a huge motivator for me to be able to connect & interact with my sister & other bloggers who are rocking their weight loss journeys! 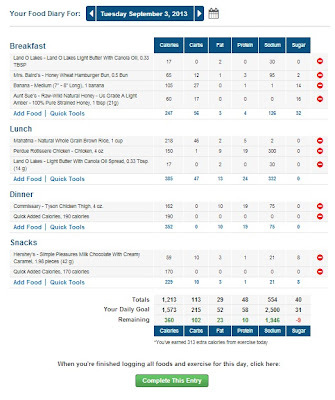 You can post in forums, print reports, and calculate your BMI. *this post was in no way sponsored by my fitness pal. I'm Jamie. I'm a 25 year old recent college graduate, first time mom, and proud army wife. I'm lucky to get to spend my days learning and playing with my sweet baby girl. Cooking is my hobby, and art is my passion. I am head over heels in love with my husband, Aaron; more than words can truly express.